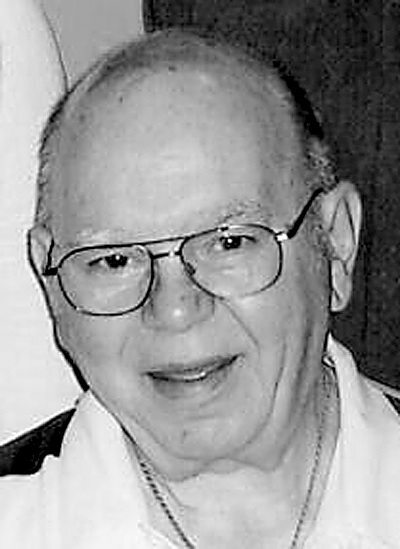 Robert F. “Baldy” Baldwin Sr., 87, of Mingo Junction died Thursday, October 20, 2016, at Trinity West. He was born July 13, 1929, in Steubenville. He is the son of the late Blaise and Gertrude McLaughlin Baldwin. He is also preceded in death by a grandson, Robert Daniel Pizzoferrato. Baldy was retired from Weirton Steel, where he worked as a millwright in the strip steel department. He was a member of St. Agnes Catholic Church and was an avid Notre Dame, Steelers, Penguins, Pirates, and CCHS football fan. Surviving are his wife, Carmella Panella Baldwin, whom he married July 7, 1956; two sons, Robert Jr. (Barbara) of Steubenville and Frank (Tracey) of Oil City, Pennsylvania; two daughters, Tina (Dan) Pizzoferrato of Steubenville and Gina Baldwin of Mingo Junction; six grandchildren, Nicole, Justin, and Kacey Baldwin, Jessica (Corey) Smith, Danielle and Tara Pizzoferrato; stepgranddaughter, Jamie (Casey) Fraites; great-grandson, Luke Gosney; and a stepgreat-granddaughter, Natalie Burell. Calling hours will be held Sunday from 2-6 p.m. at the Mosti Funeral Home, Sunset Chapel, 4435 Sunset Blvd., Steubenville. Visitation also will be held Monday from 9 a.m. until time of Mass at 10 a.m. at St. Agnes Church. Fr. James Dunfee will celebrate. Burial will follow in Mt. Calvary Cemetery. A vigil service will be held Sunday at 4 p.m.
Offer condolences at www.mostifuneralhome. com.